From the best trinkets for your most fashionable friend to stocking stuffers that work every time, we've been on a mission this holiday season to find only the best gift ideas to bring a smile to everyone on your shopping list this year. That's why we decided to enlist the help of the savviest shoppers we know—you, our forever-fashionable community. We asked you guys on Instagram to recommend your go-to holiday gifts, and boy did you pull through. Keep scrolling to shop 10 under-$50 gifts Who What Wear readers swear by. "They smell like states to remind you of home," says @oliviascoutk. 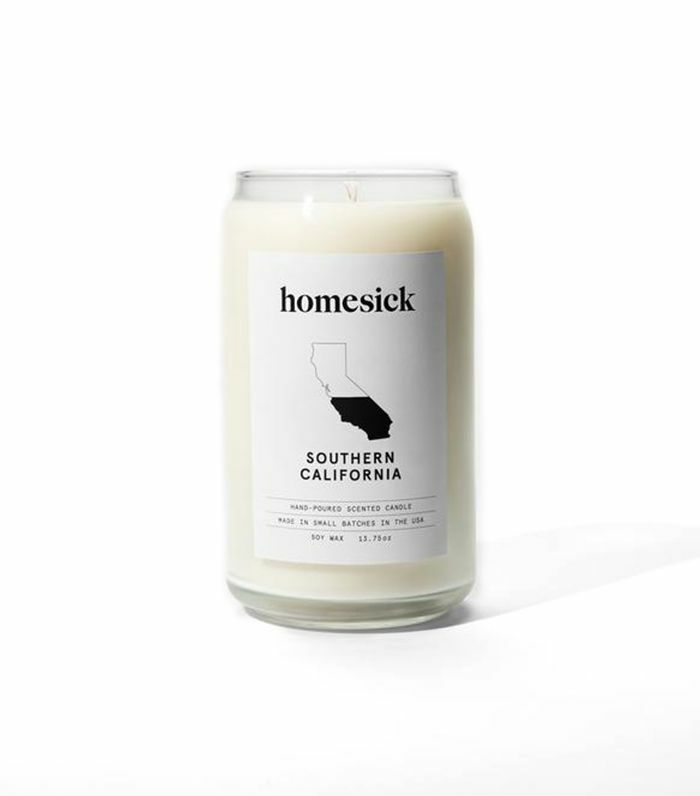 Homesick candles are perfect for the person on your list who's living far from home. With various scents for different states, these candles are hand-poured and made with soy wax for a clean and long burn time. Bring along a Taschen coffee table art book to the hostess of your next holiday party for a thoughtful addition to any home. Handmade by local artisans in Kenya, this fair-trade bracelet also gives back, making it a foolproof gift for the person who has everything. "Basically, anything from the $25-and-under section of Anthropologie. I found some beautiful candles, beauty products, and the like that my crew will love," notes @thereclaimed. This Parisian-inspired eau de toilette, in particular, is a best seller and sits pretty on any vanity. This 18-karat gold and howlite bracelet is not only beautiful but also meaningful, as it signifies calming. Perfect for that friend who's always on the go. A red Chanel lipstick is iconic for a reason, and you're sure to delight your girlfriends with a shade in one of their limited-edition hues. Vogue has called her "Instagram's favorite illustrator," and Julie Houts's latest book proves just that. Give your most fashion-forward friend a collection of essays she's sure to love. "The book is fashion, satire, and humor rolled into one," says @russianjanie. @thestyleagent reminds us that there's truly nothing like "a nice pair of tights, stockings, or cashmere socks." We agree. Give the gift of daily luxury with a cozy pair of cashmere socks they wouldn't likely buy themselves. For the homebody of your group, this diffuser was made to transport you to the desert. Plus, this particular fragrance was made and hand-poured by local artisans in Los Angeles. Perfect for your work wife, the Smythson leather-bound pocket agenda is always a classic desktop essential. For an extra touch, @veronika_pomazkova recommends personalizing the notebook with the recipient's embossed initials. What are your holiday go-to gifts? Tell us in the comments below, and get more gift ideas by messaging "gift ideas" to us on Facebook Messenger.